After years of waiting and thinking you’ve managed at last to acquire a Russian blue kitten. You’ve opened the crate, you’ve met her or him, you’ve played together and let him/her explore the house. Now what? It’s time to find a name for your new feline friend. What should you choose? You definitely don’t want to use something ordinary. Maybe you prefer a name that expresses your personality or you may want to give your new cat a personality of its own. In any case you should have in mind a few of the most common names for this breed, along with some generic guidelines. In the end of the article I’ll also give you some easy ways to come up with extremely fancy and unique names. Remember that for your Russian, a name is a “call” and can be easily confused with other calls if not used properly. If for example you use the name both when punishing and when rewarding the animal that might be confusing. What you should do instead is craft the basic calls for your cat in a way that they don’t get confused with its name. Also what you need to do is make these calls clear, distinct and simple. Cats respond better to names containing the long “e vowel” or “ee” sound. After you pick the name what you need to do is find two simple words, one for use when your cat does something inappropriate and one for occasions, he/she does something good. One for punish and one for reward to put it simple. When punishing only use the punish call and when rewarding only use the reward call. Don’t use them together and don’t use them in combination with the name. Example: Let’s say you’ve named your Russian blue Sissie, great name for cats. You have also picked “bad” for punish and “good” for reward. When the time comes and punish is needed, don’t say “bad Sissie” because this can cause confusion. Instead you should only use the punish word. If you desperately want to refer to your cat when punishing or rewarding it, use something like “Good boy” or “bad cat”. After you do this long enough your cat should be able to recognize these sounds as distinct things. Mind here that doing this, will take longer for your cat to learn its name because it won’t be associated heavily with treats and rewards but rather it will be a more generic sound and a call for social interaction usually. After all of these 3 concepts are solid it is ok if you drop sisiee name when rewarding or punishing her, but avoid it since in the long run can again cause confusion. Simple – Keep the name short and simple, ideally one, or two syllables max. 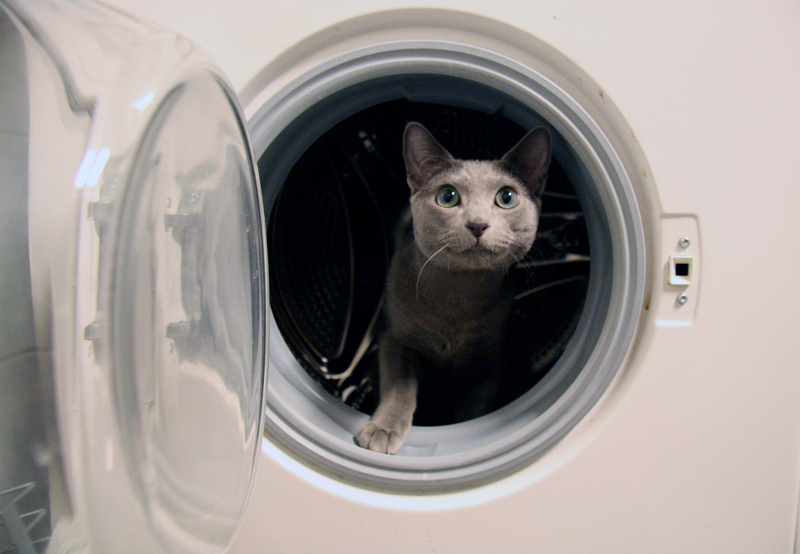 Easily Recognizable – Use “ee” in the name to make it better recognizable for your cat. Unique – Make sure the name is not similar to other daily used sounds, a name like “Smokey” can easily be confused with smoking and therefore doesn’t make it suitable for cat name. There are many ways to come up with nice names for your cat and your choices are literally unlimited, i will present the easiest way and with the less hassle. Since Russian blues and cats in general are given names the most easy to do, is give your cat a human name. You have thousands to choose from and they can be very distinct from the everyday talk so you won’t be getting into trouble each time someone asks you ask for a little whiskey, which is really cool name by the way and also follows the -“ee” rule. Using everyday words to name after the pets is cool but it can become annoying in the long run. Especially if you use that word very often. For boys have a look at this catalog. For girls have a look at this one. For even more inspiration for both sexes see here and here. Remember that is good practice for the name to stay simple, so stick to the smaller names. Don’t forget that you can always use male names for females and female names for males, i don’t see any problems with calling your male cat Abbie for example and definitely he won’t have any problem with that. 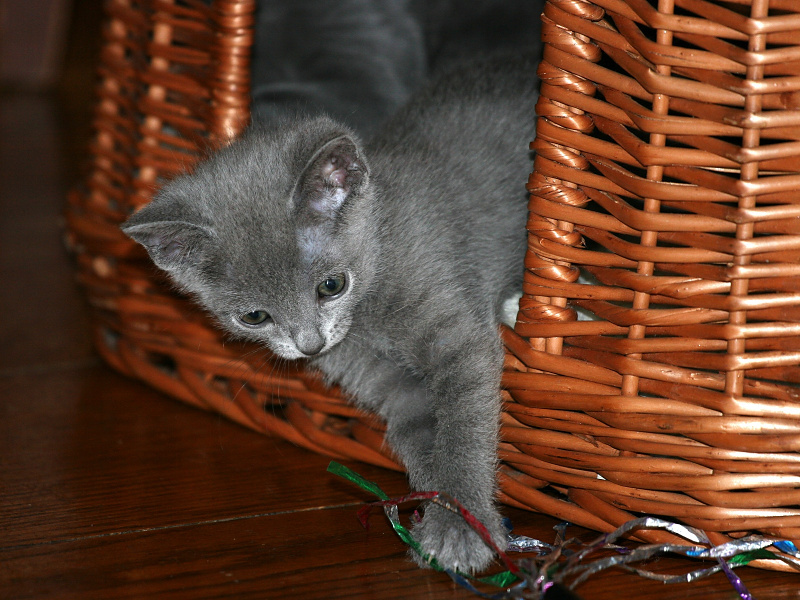 That’s all it is when it comes to naming your Russian Blue kitten, now the choice is yours, don’t forget to Share and Like!